Welcome Today many people are seeking minimally invasive cosmetic procedures which are available on a "walk in walk out" basis to rejuvenate skin and enhance youthful appearance. Based, just 25 mins from Edinburgh, in Fife, we are Scotland's Most Discreet clinic with treatments involving Wrinkle Reduction, Decolletage, Dermal Fillers, Dermaroller TM, Hand Treatment, Hyperhidrosis and Skin Peels. 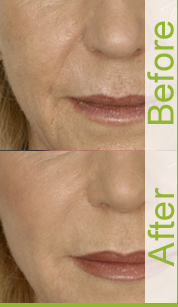 About Us At Premier Skin Rejuvenation we can help you turn back time with a range of non-surgical cosmetic treatments for both female and male clients. relaxing-environment Appointments are flexible with out of hours and weekend services which are followed up after each treatment. Our clinics are run within our own elegant discreet premises which have free parking facilities within our grounds. We are based in West Fife just off the A90. About Yvonne Scott Yvonne qualified as an RGN in 1987 and completed her specialist practitioner degree in 1997 in community nursing where she had a special interest in wound management, diabetes, and infection control and obtained advanced certificates within these fields. She also qualified as an independent prescriber whilst working as a community charge nurse. She has worked extensively within the NHS in both general medicine and community nursing. 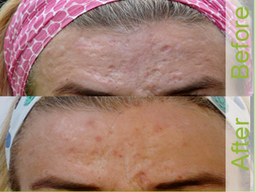 Her training in the Aesthetic field has been undertaken with the highly esteemed Medics Direct in Glasgow and K.T Training in Harley Street London. 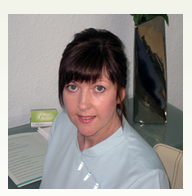 Yvonne is trained at an advanced level in botox and dermal fillers. She attends masterclasses, conferences and advanced courses at every opportunity to further enhance her practice in aesthetics. 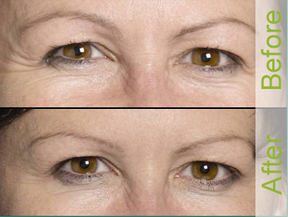 She is a member of the British Association of Cosmetic Nurses and the Association of Scottish Aesthetics Practitioners. Treatments At Premier Skin Rejuvenation we offer a wide range of treatments not only for women but men too. To browse our range please choose from the menu on the left. 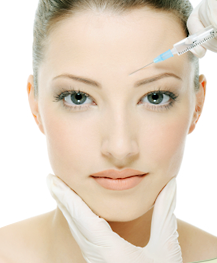 Our services include wrinkle reduction, dermal fillers, ageing hand treatment, decolletage treatments, hyperhidrosis, skin peels, peri-oral lines, chin creases, cheek enhancement, eyebrow lift and dermaroller. We offer individual treatments or tailor packages in order to achieve your aspirations delivered by highly qualified practitioners. We can also arrange home visits if required. Prior to any treatments a full one to one consultation will take place along with a medical questionnaire to ensure client suitability to receive our treatments and to discuss any questions or concerns. All information held is confidential. We use sterile, disposible equipment recommended in Infection Control Guidelines. Local anesthetics are always used where appropriate to make the experience as pleasant and as comfortable as possible.